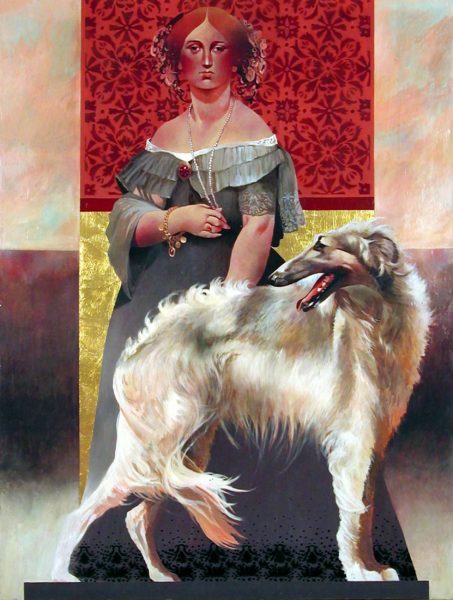 S. Tucker Cooke, Ingres Safari Lady and the Pedestaled Wolf Hound - Crafts, circa 1976, acrylic on canvas, 73 1/4 x 55 1/2 inches. Museum purchase with funds provided by the National Endowment for the Arts, 1976.29.24. Art Safari: Do you love animals? Then come on an adventure as we discover animals from around the world and use them as inspiration for artworks using a variety of materials and techniques. Students draw, paint, and sculpt their own creatures great and small.